I, like many Canadians, enjoy Netflix. Sure, it’s lacking titles that the superior American version has, but it’s a cheap (how could you go wrong for $8 a month?) convenient way to watch movies. I also enjoy the Netflix ratings system. It’s one of the best ratings systems I’ve come across, and it’s suggestions for me are usually spot on. In short: Netflix, and it’s rating system, is pretty great. Sadly, most companies, including Netflix, don’t buy into the old adage: “if it ain’t broke, don’t fix it”. The other day I logged into my Netflix and was shocked to find that the star rating system was gone. I thought maybe it was a browser issue at first, so I tried numerous browsers, deleted my cookies, etc. Nothing worked. My ratings were still missing. Something definitely wasn’t right here, so I live chatted with a Netflix tech expert. He found it odd that my ratings were gone as well and told me to sit tight while he looked into it. Five minutes later he came back with the news: Netflix was phasing out it’s star ratings in favour of Facebook ‘likes’. Seriously? I had heard nothing of this. No emails sent out to customers, no announcements made, nothing. Netflix seems to be sneaking this change in. Why? I’m not quite sure. Is this only for Netflix Canada? No idea. There seems to be hardly any info out there about this change, and that’s kind of disturbing. Now, let’s just set aside the fact that Facebook is forcefully asserting itself more and more in our online lives – and the uncomfortable (spying!) facts that come along with that. Let’s just focus on rating films in general. Films are an art form, and as such they aren’t merely ‘liked’ or ‘not liked’: there are degrees to which one enjoys a movie. I can say I ‘liked’ Chronicle, an underrated teen sci-fi action film, but do I like it on the same level as, say, Fargo? The answer is a resounding ‘no’. Netflix, however, would seem to say that yes, they are on the same level – you either like or don’t like them. This is just ridiculous, and it makes me question Netflix as a company that cares about cinema. Movie criticism isn’t black and white, it’s nuanced. You might argue that the general public aren’t film critics, but that’s not true. Everyone who sees a film is a critic. When you’re talking to your friends about a movie you just saw, do you only say that you ‘liked’ it? Or do you say you “liked it, but…” or “I loved it!”? Sure their points might not be as well informed as professional film critics, but they still have points – and thoughts. This ‘like or don’t like’ system that Netflix is rolling out is overly simplistic and, frankly, a little insulting. You don’t think people can like things to differing degrees? That the general public are capable of nuanced thought? Maybe this never crossed the staff at Netflix’s mind. Maybe this is just merely a way for them to generate more money through sharing personal information via Facebook. 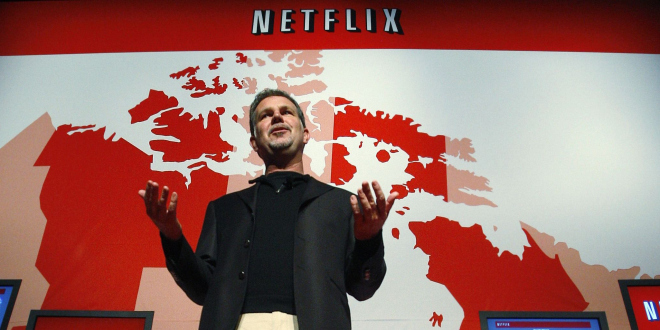 The later is probably true, which makes it all the more sad: Netflix didn’t even consider its customers.